Meet the incomparable "Maria," our new slip-on pump for Summer 2019. 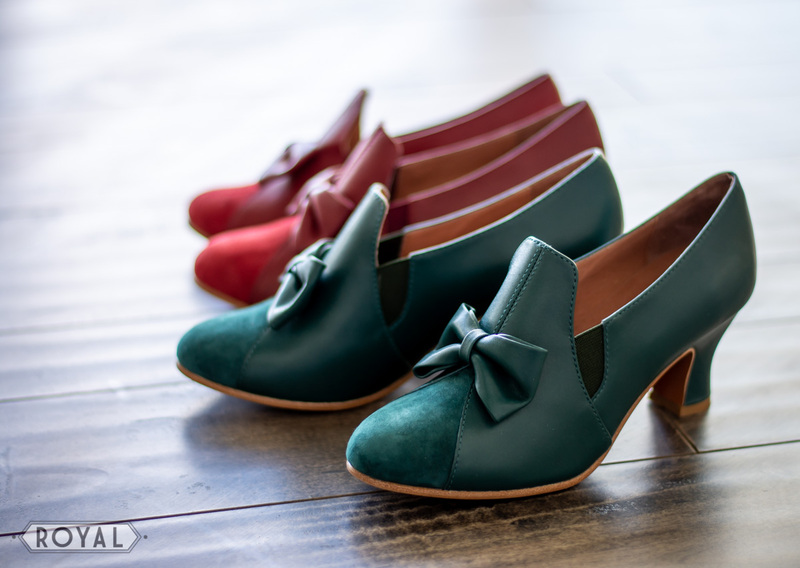 Available in red and the most *gorgeous* deep pine green, there's nobody quite as elegant and refined! 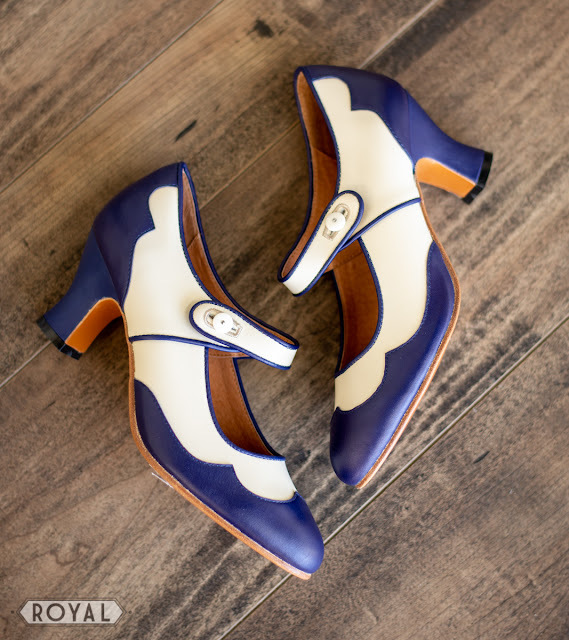 Maria is based on a variety of original 1930s shoes, featuring the popular teardrop toe in a soft tone-on-tone suede matching the calf leather upper. These pumps fit nicely with elastic side gussets nipped into the high sides, keeping the standing tongue feeling secure. 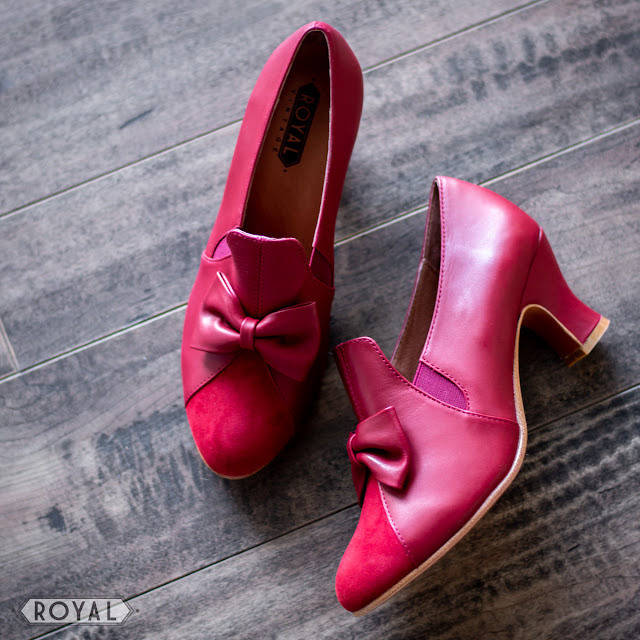 The beautiful new Maria 1930s shoes in gorgeous red leather and suede. Of course, Maria's most noticeable feature is the wonderful bow! 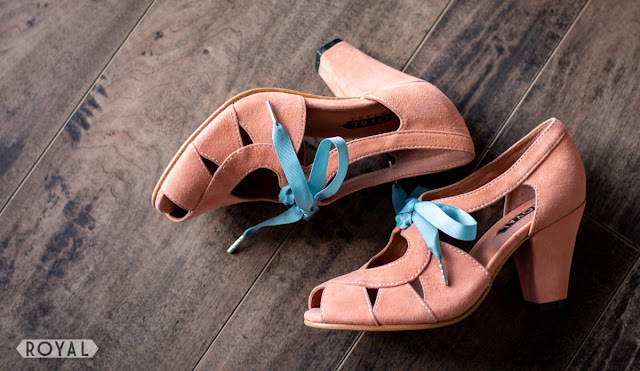 Made in matching leather, the bows are stitched on (not glued), and keep their shape. 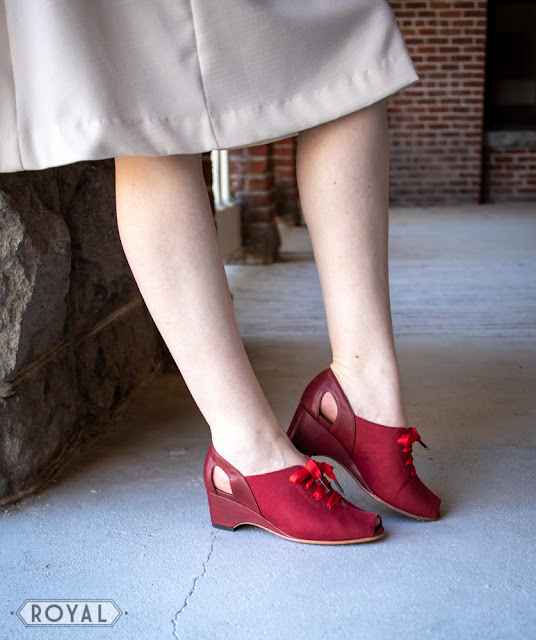 Maria stands on our 2.5 inch 1930s heel and comes standard with sealed leather soling perfect for both outdoor and indoor wear. Maria 1930s Shoes in green - um, can we talk about this green? Isn't it just *goergeou*? 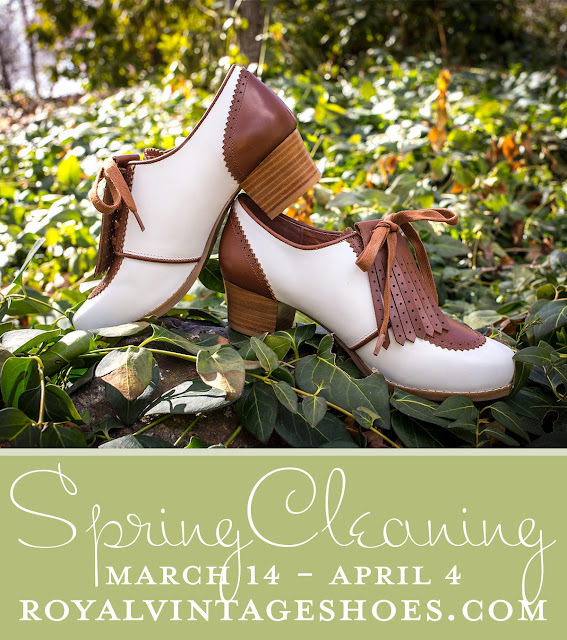 We've got a whole new Spring/Summer shoe collection arriving in a few months, which means that we need to make some room. And making room *always* means good things for you! 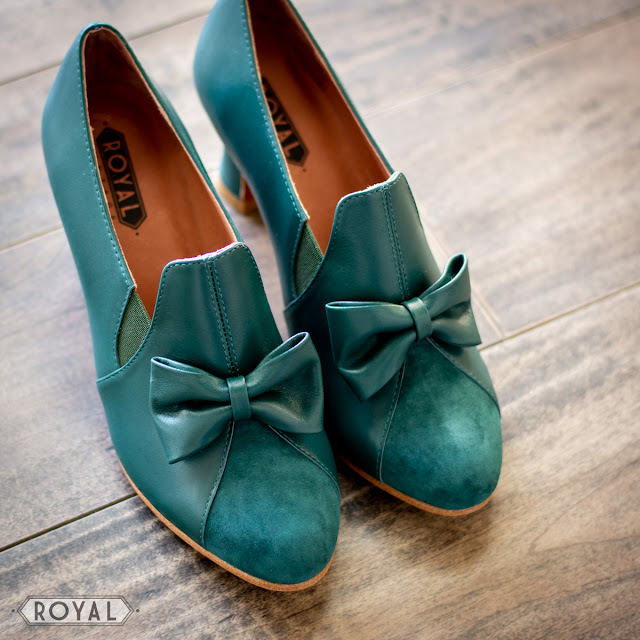 We've got a lovely selection of styles at lovely discounts that are perfect additions to your Royal Vintage Shoe collection. 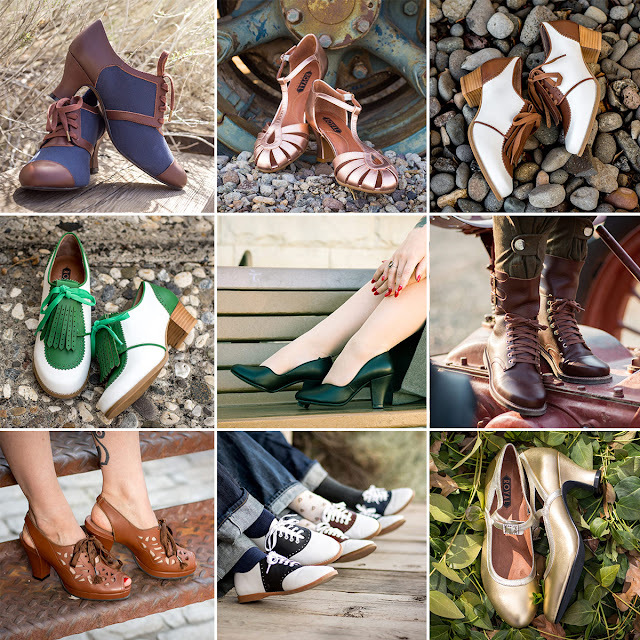 ALL of these amazing older styles are on clearance sale! 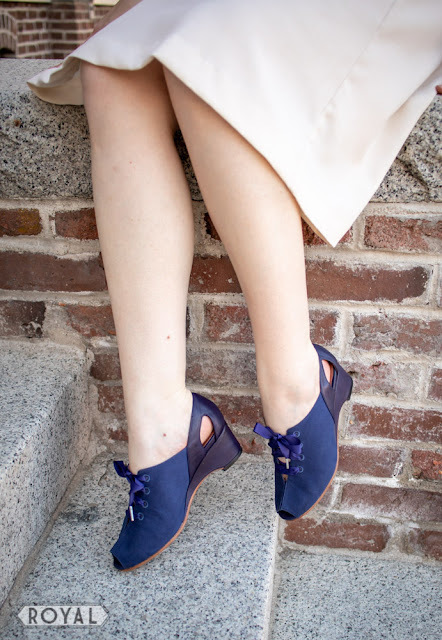 Lillian Navy $130 ($150) - Dead Stock - We will be restocking Lillian in Navy this Summer with new leather soles! Marilyn Black $130 ($150) - Dead Stock - We will be restocking Marilyn in black with new leather soles! Woo! We hope you're just as excited about this sale as much as we are! Don't forget we offer free exchanges and easy returns for our USA customers and free shipping on orders over $99 for our US customers too! 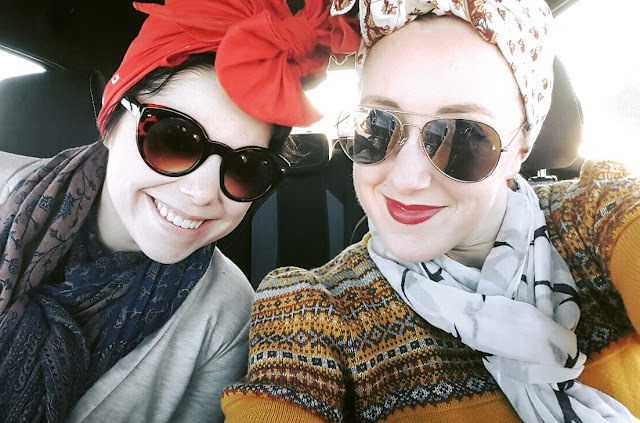 Well, I've neglected this blog for too long...to the point where somebody actually scolded me for it (lol!). So here I am! So what's new? Well, we're getting ready to release our Spring/Summer 2019 collection. 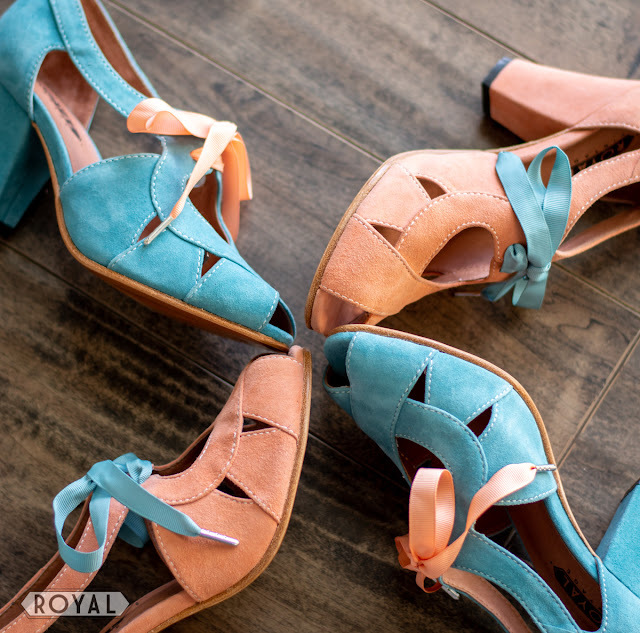 We've called it the "Foxtrot" collection, and the color palette is inspired by the feeling of an Art Deco summer of dancing and dining. 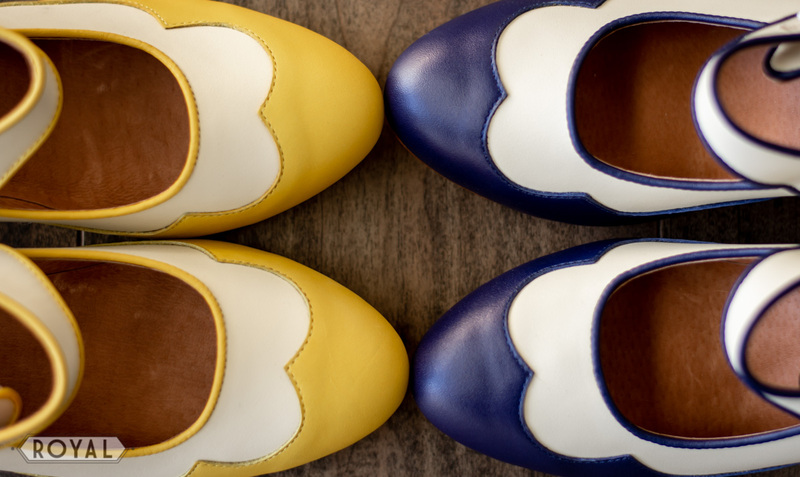 Toe Teaser - a fresh new colorway for Lillian Mary Janes, and the return on our classic navy and ivory. 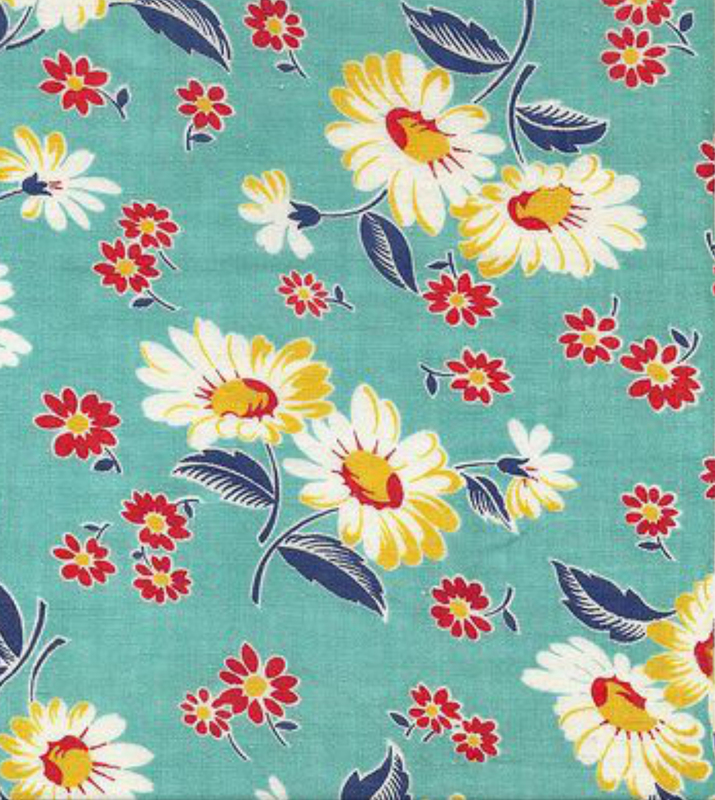 We've gone with some bold hues this season - bright blues, coral pinks, teal, yellow, and red. 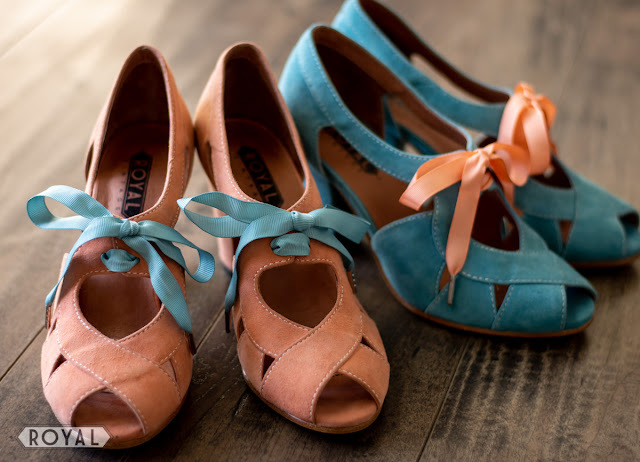 We want to celebrate color as a neutral - yes, you CAN wear green shoes with so many things! - and break out of the everything-is-black idea. 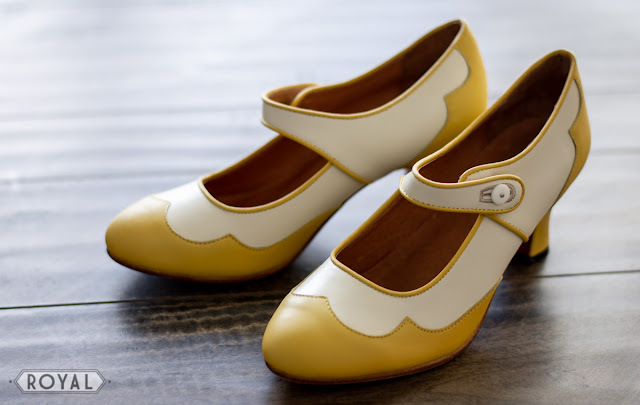 You'll find a beautiful new oxford, two sandals, a pump, and a fresh color for our popular "Lillian" mary janes. 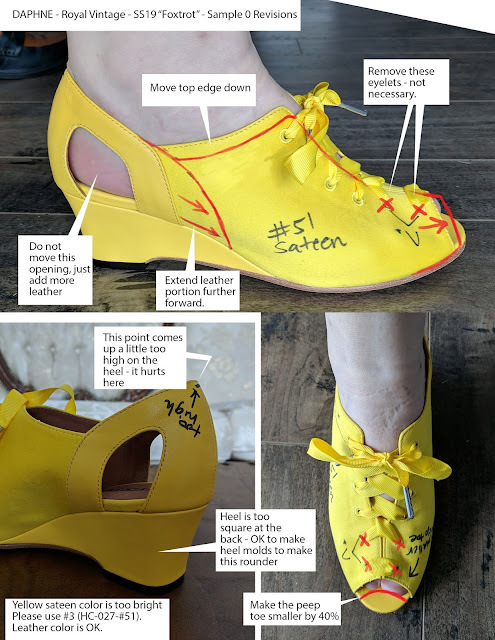 A couple of the designs come with two sets of shoe laces, a contrast color and a matching color. 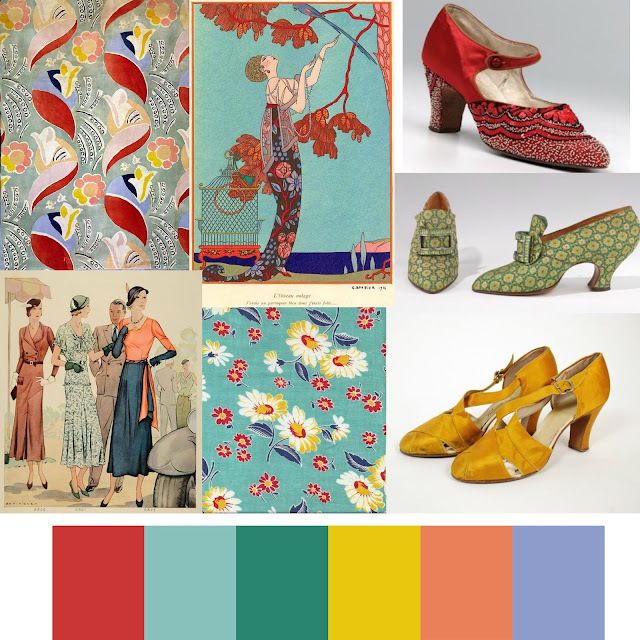 Our inspiration sheet that inspired the Spring/Summer palette. 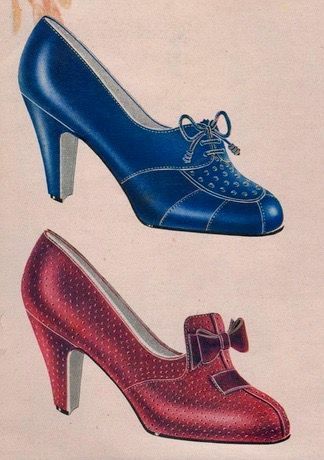 We did not reproduce these original styles, but used them for inspiration. 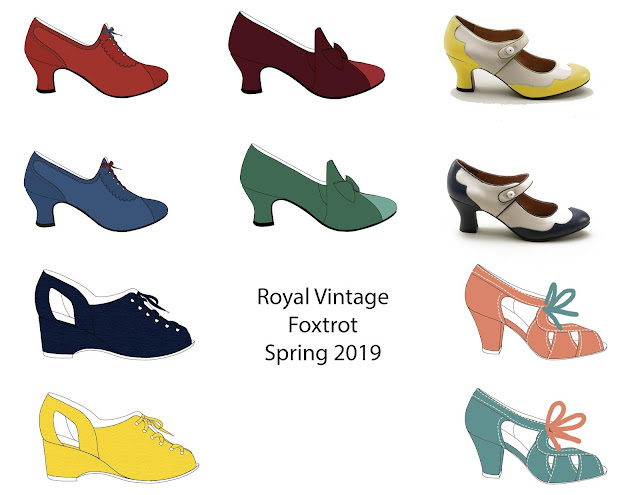 Foxtrot will be opening for pre-order in April. You can sign up for email updates here. 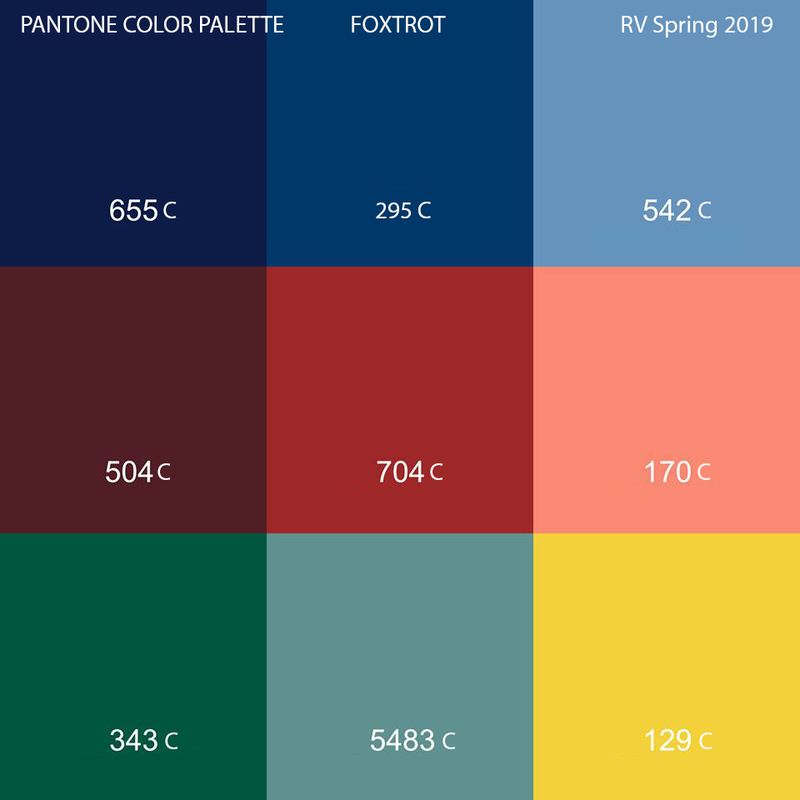 We hope you enjoy the bright new styles! More previews and information is on the way.